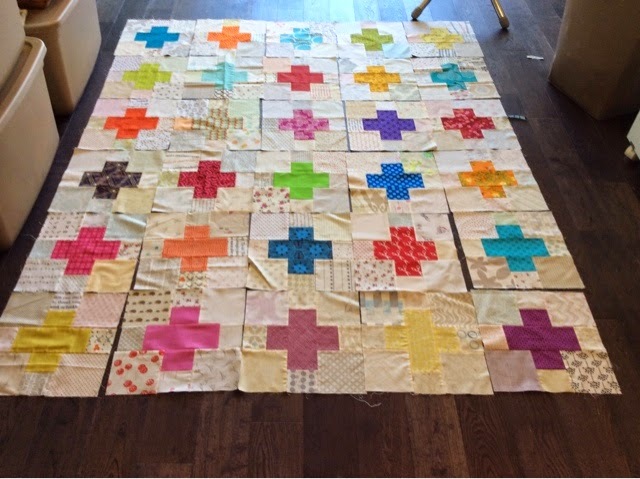 The cross block has been a popular block in our online quilting community. I chose it for my month as queen in the Modern Stitching Bee earlier this year. I asked for bright colored crosses with low volume backgrounds. 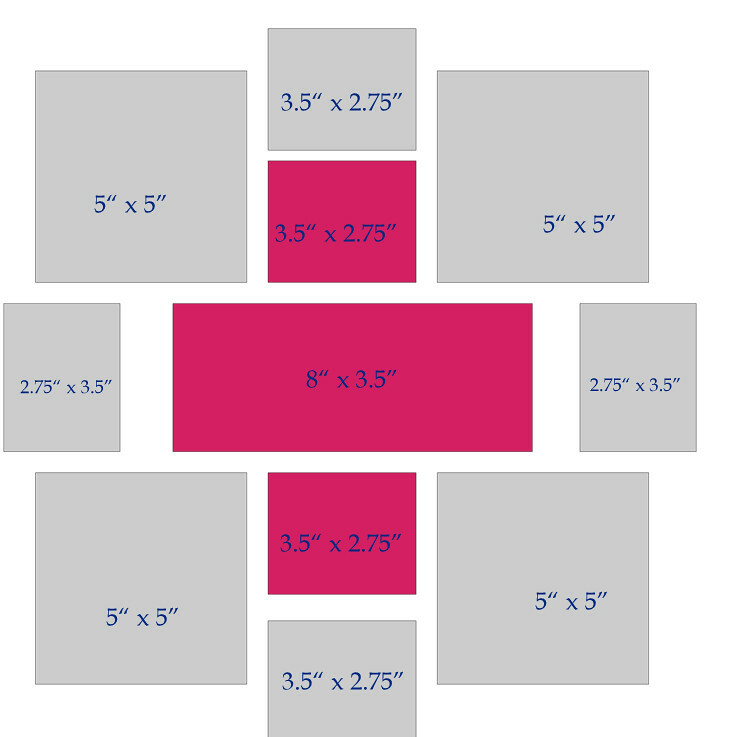 I received 20 blocks and made 10 more to give me a nice sized quilt with a 5x6 layout. These blocks finish at 12" square. These blocks have been sitting in my work in progress pile waiting for the right reason to turn them into a quilt. My childhood friend has recently been diagnosed with lymphoma and if that's not a good reason to finish this quilt, I don't know what is. 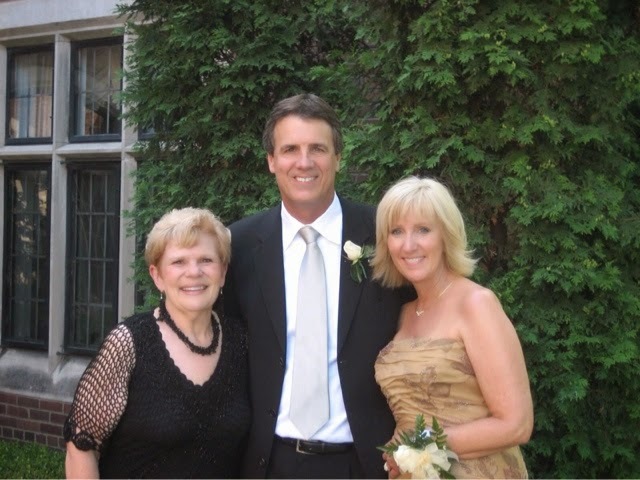 This is a photo of us with Karen, from her daughter's (our goddaughter) wedding in 2006. I got all the blocks assembled into a pleasing layout. 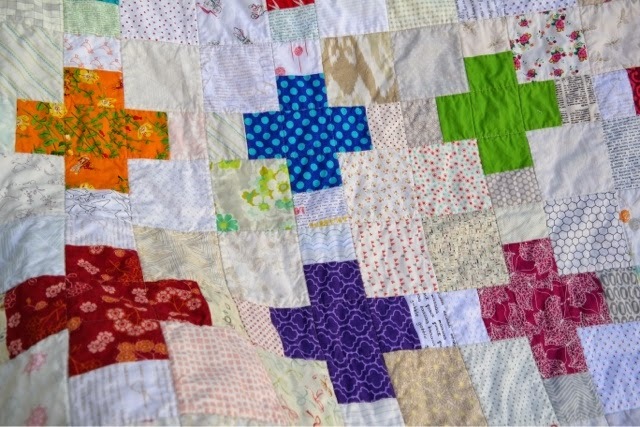 Then I quilted it very simply by stitching in the ditch along the larger squares. I backed it with two IKEA prints and a black and white chevron print, pieced together. I'm pleased with the way this quilt turned out and I'm so glad I can send it off to Karen to give her some comfort while she endures a rigorous chemo schedule. My thanks goes out to everyone in the Modern Stitching Bee for their help in making this quilt. Rhonda, Leanne, Jennie, Clara, Sarah, Annaliese, Katy, Annabella, Rebecca and Emily all contributed blocks for this quilt. Finished Size: after laundering 57" x 68"
I have included the measurements I used for each block. These blocks are 12.5" unfinished. 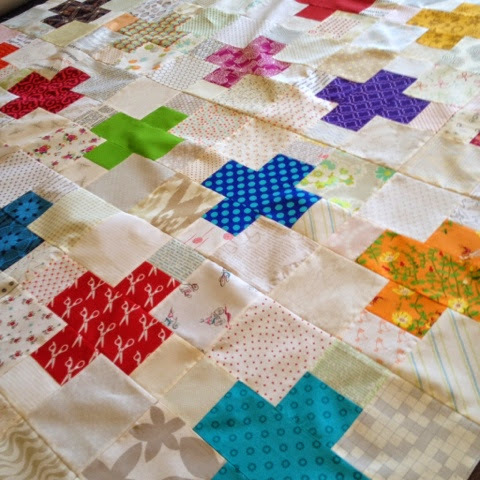 I am so sorry to hear about your friend but am pleased to have been able to make some blocks for this beautiful quilt. I hope she gets better soon. 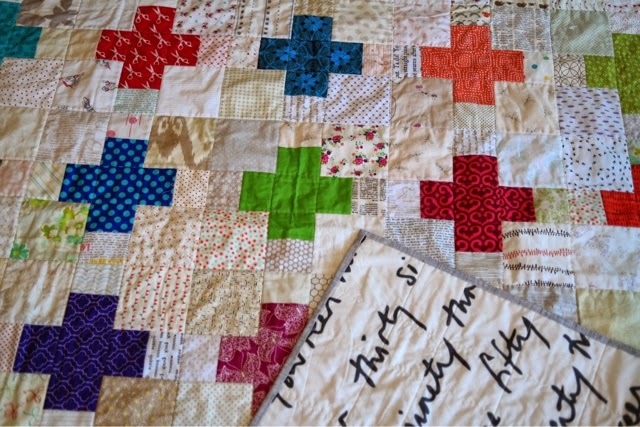 sorry to hear about your friends illness - your quilt will definitely bring some comfort. I am sure your dear friend Karen will be greatly comforted by your quilt Di! And to think it came from friends near and far. Lovely! 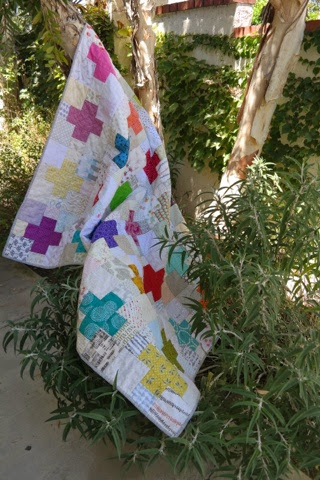 I am sorry to hear about your friend Karens diagnosis but happy that a little of what I made can help bring comfort, and such a lovely way for bee quilt to be used. Such a lovely comfort quilt. I know your dear friend will feel wrapped in your care and love everytime she cuddle so. And thanks for taking the time to give us the block directions, I love all the low volumes and brights. 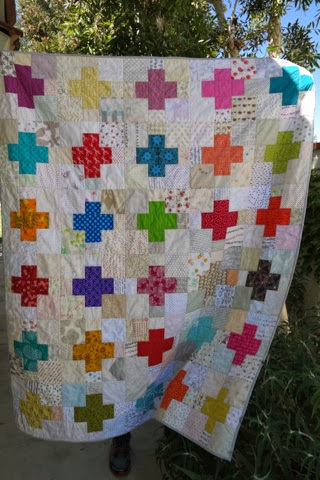 What a wonderful quilt for a special friend. Cancer is the pits. 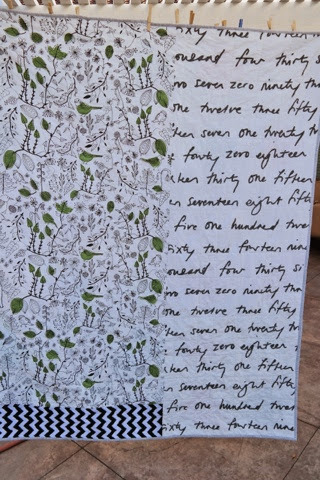 I'm sure this quilt - and your friendship and love - will be a great source of comfort to Karen. Sending prayers and best wishes her way! She will love this Di! Sorry to hear about your friend, but I'm sure this quilt will wrap her in love. I hope your friend is doing well. I will be praying for her. The quilt turned out lovely and I hope it brings her some comfort.